California to Lead the Way in Energy Efficiency Tactics? Think the government has no control over the electronics you use? Think AGAIN! According to a recent New York Times article, the California Energy Commission has proposed new efficiency standards that would require televisions sold in the state to use 50 percent less energy by 2013. 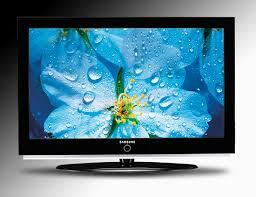 The rules would effect televisions manufactured from January 2011 onward. The Consumer Electronics Association argues that the electronics industry could achieve new standards without the rules proposed by the Energy Commission. One simple way to save on energy is to adjust light and color settings. Douglas Johnson, a senior director of technology policy for the Consumer Electronics Association, was quoted in the New York Times story as saying that these measures could reduce energy use by 25 percent. “There are so much more savings to be had by what we’re suggesting as alternatives,” Johnson said. Philips has come up with its version of a greener television: a 42-inch with a light sensor. The television uses less power than others and saves energy depending on the lighting of the room.